Wuhan BOE Electro-Optics System Co., Ltd (BOE), started in 2004, is a national-level high-tech private company devoting in the development and production of electro-optics devices. 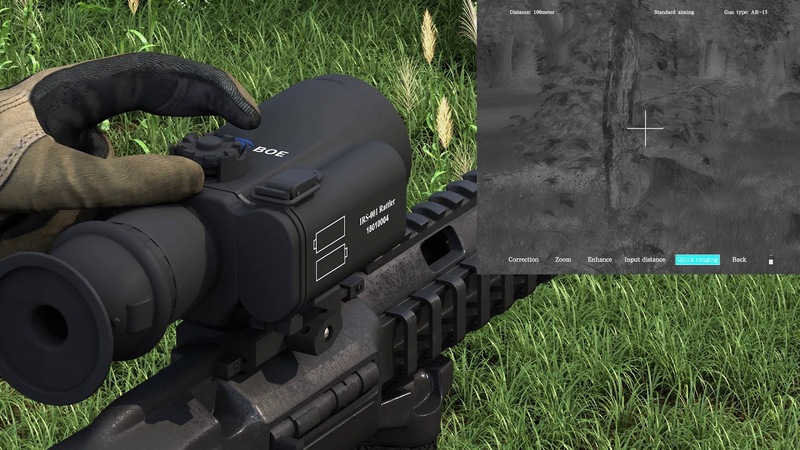 With three key technologies - infrared thermal imaging systems, video image processing, and electro-optic systems integration, BOE has independent design capabilities in structure, optics, hardware, and software, and can independently develop various infrared products, such as all kinds of sights, photoelectric trackers, handheld infrared observers, etc. We also have the ability of fabrication, optical instrument calibration and installation, and product testing. intelligence, low-power design and image processing algorithm development capabilities. In the BOE-007 series smart thermal gun sight, artificial intelligence technology is applied to the field of firearms. And the automatic gun calibration, smart ranging, and simple manipulation patent technologies are adopted. It subversively solves some problems such as difficulty in infrared gun calibration, low pointing accuracy, and complicated operations, which greatly improves the overall equipment effectiveness of the firearms. At the same time, it can be used as a monocular hand-held infrared observation device. In these series of products, the connecting seat can be changed to equip with a wide range of gun families, so as to observe and aim at targets in all kinds of environments day and night. The new type of smart thermal gun sight, with three advanced features: auto-calibration, smart ranging, and simple adjustment, enables fast-observing, capturing and aiming under all weather conditions day and night, so your hunting will be more precise effective, relaxing and fun.